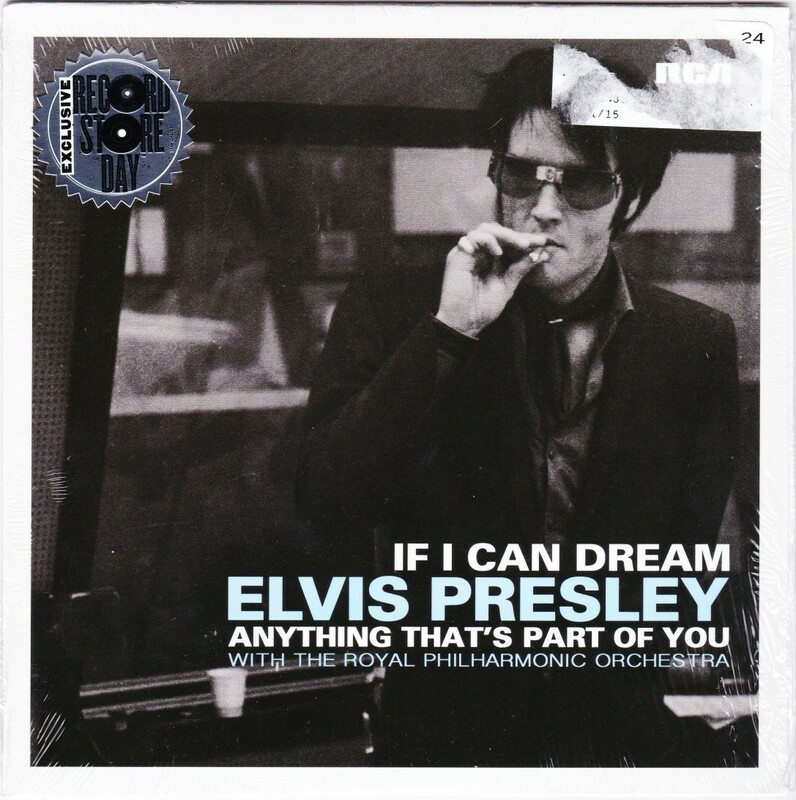 Brief History : If I Can Dream was recorded June 23rd, 1968 at NBC Studios, Burbank & Anything That's Part Of You was recorded October 15th, 1961 at RCA Studios, Nashville. *NOTE* : This copy is sealed. 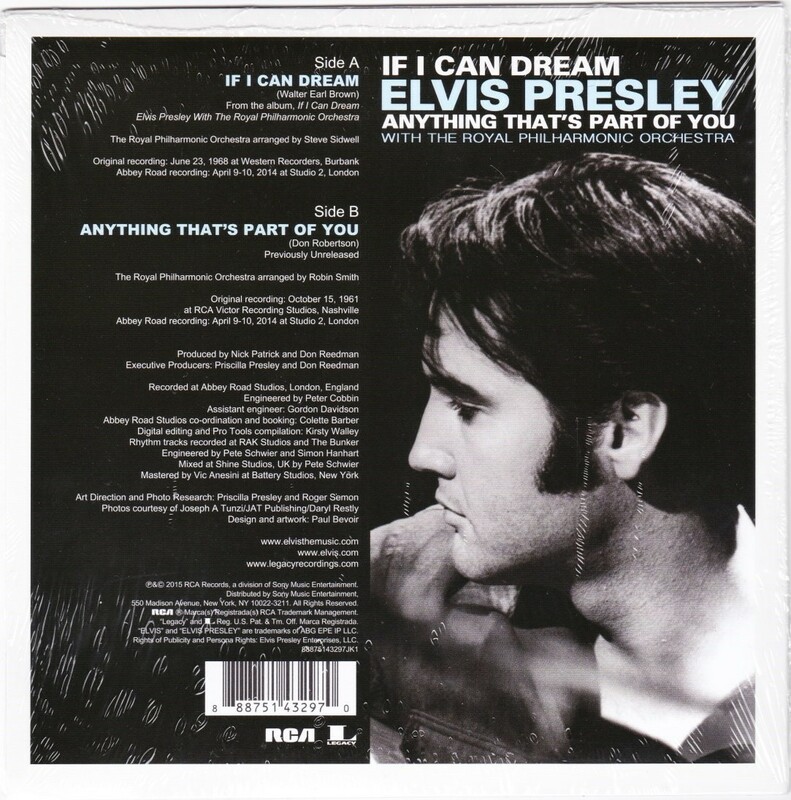 These 2 songs were part of an album titled "If I Can Dream" released by RCA Legacy and overseen by Priscilla Presley. These 2 songs and the remaining album was newly recorded at Abbey Road, Studio 2, London between April 9th & 10th 2014 with The Royal Philharmonic Orchestra.